After a chance discovery of a bootleg cassette of South African township music in the early 80s, Paul Simon was totally smitten. He soon travelled to Johannesburg and spent two weeks there recording with the cream of South African musicians. That epic session, went on to form the basis of Simon’s legendary ‘Graceland’. 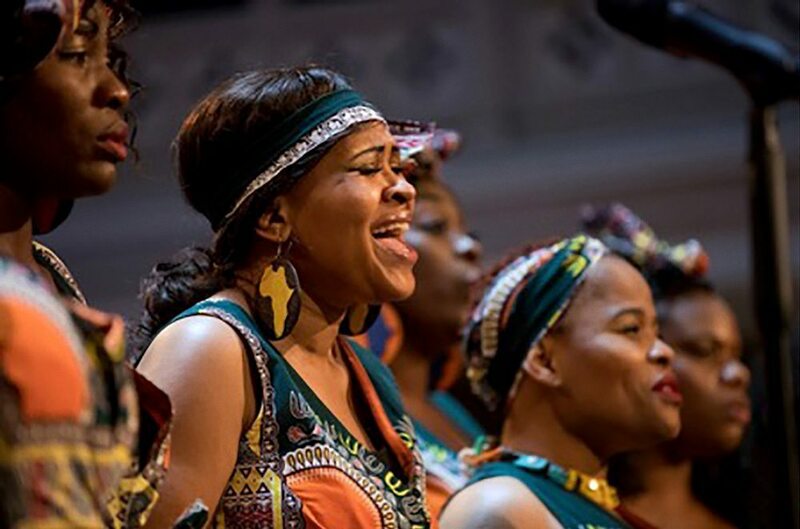 Now, 30 years after its release, we welcome 19 members of the London African Gospel Choir, backed by their amazing band, to perform their own powerful twist on this classic album. Capturing the rhythms, melodies and harmonies of the work in a way never before heard, this is feel good music at its best.